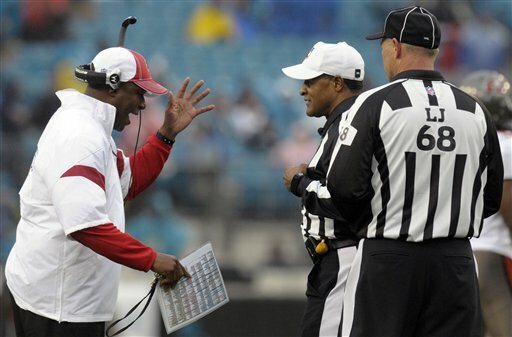 According to ESPN’s John Clayton, via Rick Stroud of the St. Petersburg Times, the Tampa Bay Buccaneers considered firing head coach Raheem Morris following the team’s 41-14 loss on Sunday to the lowly Jacksonville Jaguars. The Buccaneers blew a 14-point lead, had seven turnovers and committed double-digit penalties in the loss that assured the Buccaneers (4-9) of a losing season. According to Clayton, Morris was not let go because the Buccaneers lack an experienced coach on his staff to serve on an interim basis. Stroud adds that Morris also coordinates the team’s defense and had a short week to prepare for Saturday night’s game against the Dallas Cowboys. 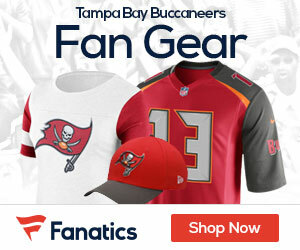 Morris, 35, has compiled a 17-28 record in his three seasons at the helm of the Buccaneers. After last season’s 10-6 record, general manager Mark Dominick referred to Morris as a “Coach of the Year” candidate in announcing that the club had picked up a two-year option on Morris’ contract, which runs through the 2012 season.